Assists body in overcoming viral and bacterial infections. Helps prevent residual infection from damaging lymphatic structures. Helps prevent and supports recovery from mitochondrial poisoning by microbial toxins. Support for general bacterial and viral infections. This biological antimicrobial homeopathic remedy also stimulates the immune system to eliminate pathogens and toxins that can block proper metabolism. Its antibacterial qualities are essential for supporting acute infections of the intestines, bladder, kidneys, bronchials and other organs. Apo-Infekt also stimulates the lymphatic system and with additional support for fever and weakness. Increasingly resistant microbes make this homeopathic medication extremely important. Acute bacterial and viral infections can be helped with the use of Apo-INFEKT drops, which work as an immune system stimulant and biological antimicrobial to eliminate pathogens. Apo-INFEKT does not burden the body, but rather helps stimulate an immune response and eliminate toxins that can block the metabolism. Its provides an antibacterial action that can be beneficial for acute infections of the bladder, kidneys, bronchials and other organs. 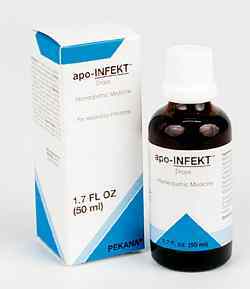 All pus-producing infections such as bronchitis, tonsillitis and otitis media indicate the need for apo-INFEKT drops. Apo-Infekt stimulates the lymphatic system and address accompanying symptoms such as fever and weakness. In addition, Apo-INFEKT drops are used for intestinal tract infections to help neutralize toxins. Apo-Pulm or Bronchi-Pertu if phlegm is infiltrating chest. Mucan. 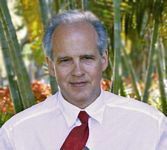 Usually combinations containing both Apo-Infekt and Mucan do not work as well clinically as when the most indicated of these two remedies is selected. Use for the duration of an acute infection, then continue for 7 to 10 days afterward. Ailanthus gladulosa 3X helps eliminate infections of the tonsils and other tissues, including those caused by foci or residual intoxification. It also helps treat severe weakness and fever, Scarlet Fever, mucus membrane infections, and dysbiosis of the digestive tract, including colic that may accompany this condition. Argentum nitricum 4X helps support infections in several different ways. Argentum functions as an anti-bacterial medication, while Nitricum acidicum helps infections of all mucous membranes. As a combination of the two, Argentum nitricum also helps regulate nerve function and combats restlessness/exhaustion often accompanied by headaches or migraines. Cinchona officinalis 3X (China) specifically addresses fever, exhaustion and weakness. Its anti-infectious properties effectively helps a broad range of illnesses from bronchitis, pertussis (whooping cough), gastritis and cholecystitis to polyarthritis rheumatica. In addition, China is also invaluable in reducing head congestion, as well as stopping bleeding from irritated mucous membranes. INDICATIONS: Providing support for bacterial and viral infections: flu, measles, chicken pox, otitis, candidosis, herpes simplex, mouth thrush. Providing support for acute bacterial and viral infections with the help of ADEL 87 (apo-INFEKT) drops, which work as an immune system stimulant and biological antimicrobial to eliminate pathogens. The antibacterial qualities are essential for supporting acute infections of the bladder, kidneys, bronchials and other organs. All pus-producing infections such as bronchitis, tonsillitis and otitis media indicate the need for ADEL 87 drops, which also stimulate the lymphatic system and address accompanying symptoms such as fever and weakness. In addition, ADEL 87 drops provides benefit for intestinal tract infections to help neutralize toxins.